Review and Purchase my Books from Amazon. "The Light in Her Window"
Mary Lou Peters Schram grew up in Northern Ohio, and graduated from Bennington College in Vermont. Originally she wanted to become a journalist, but that was not a major at Bennington. She instead selected Language and Literature as her major and studied writing with, among others, Howard Nemerov, who later became a US Poet Laureate. After working in New York for Lever Brothers and "Time" magazine, she married and moved to Los Angeles and later Oakland. Mary Lou and her husband were active in the civil rights movement. 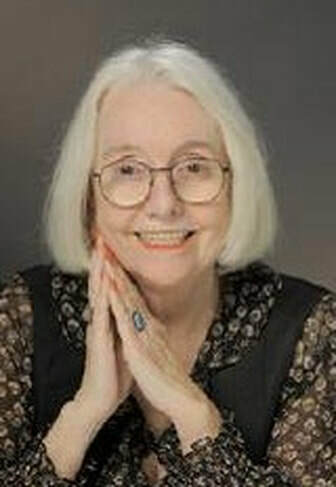 She entered public relations and advertising in San Francisco in 1970 and spent four years at KCBS radio as advertising and publicity director. She published a suspense novel, “Stranger in the Dark” with Berkley Books in 1972. In 2004, she published “KLIK,” a novel based on her experience at KCBS. “Taddy and Her Husbands,” the story of a teenage runaway who made a career of marrying wealthy men was published in 2007. This was followed in 2009 by “Pursuing Happiness…One More Time” a humorous novel about looking for love in an adult community. In 1988, after the death of her husband, she became a legal secretary and began buying and renovating rundown rental property. This became the basis of “Molly’s Leap,” the story of a young mother who escapes her humdrum life by getting involved in the California property frenzy; this book was published in the summer of 2012. Her newest novel, “The Light in Her Window,” was published in May of 2014. It is the story of a California marriage which struggles with the chaos of the last half of the 20th century when all certainties seem to have changed. Schram moved to Walnut Creek in 2008 and spends her non-writing time working for the Democratic party, traveling, or keeping up with several grandchildren.